The question of the origins and evolution of human language is one of the most fascinating mysteries in science, but also one of the hardest problems due to a lack of data and fossil records of the first languages. Nevertheless, recent methodological and technological breakthroughs have made it possible to come up with solid scientific theorizing, making Evolutionary Linguistics a young but thriving field of inquiry. This atelier introduces its participants to these methods, including a hands-on experience on how to construct multi-agent models for exploring the emergence of vocabularies from scratch and a concrete demonstration of state-of-the-art experiments on the evolution of grammar. Participants will familiarize themselves with Babel2, an open-source software framework for developing agent-based models that includes the grammar formalism Fluid Construction Grammar, and they will learn which set of skills they need to acquire or bring to the table for conducting cutting edge experiments on language evolution. Day 1: Pidgin Speech Community: Participants will be provided with a fully operational multi-agent speech population who are able to interact with each other using a pidgin language (i.e. a lexical language without grammar). Participants will be introduced to all the components of the agent-based language model, and learn how to write their own lexical constructions in Fluid Construction Grammar. Day 2: Emergent Vocabularies and Usage-based language processing: Participants will learn how to write learning operators for Fluid Construction Grammar that will allow agents to invent and learn new words. They will also handle the problem of variation and exploit usage data for guiding linguistic behaviour. Day 3: Argument Structure Constructions: Participants will learn how to write grammatical argument structure constructions in Fluid Construction Grammar, and how these constructions interact with processing constraints. Day 4: Emergent Grammars for Argument Structure: Participants will write learning operators that allow agents to develop argument structure constructions from scratch. More specifically, they will use methods based on anti-unification and pro-unification for doing so. The learning operators will then be tested in multi-agent simulations in order to identify which challenges arise when moving agent-based models from lexical to grammatical languages. Day 5: Demonstration of results: This lecture wraps up the whole week and will make an inventory of accomplishments and open challenges for the participants. Participants will demonstrate the state of their experiments. Luc Steels (in press). Basics of Fluid Construction Grammar. Luc Steels and Paul Van Eecke (in press). Insight Grammar Learning using Pro- and Anti-Unification. Remi van Trijp (2016). The evolution of case grammar. Berlin: Language Science Press. Luc Steels (2015). The Talking Heads Experiment. Origins of Words and Meanings. Berlin: Language Science Press. Participants are asked to their own laptops with Babel2 installed. A basic knowledge of (symbolic) computing is required for participating in the hands-on parts of the ateliers. Registration: Apply through the main website of the Summer School. Dr Remi van Trijp is the head of the language research unit at Sony Computer Science Laboratory Paris and one of the chief architects of Fluid Construction Grammar. He has pioneered the first constructional processing model for argument structure that works for both language comprehension and formulation, and has developed state-of-the-art agent-based language models for the emergence of grammar. 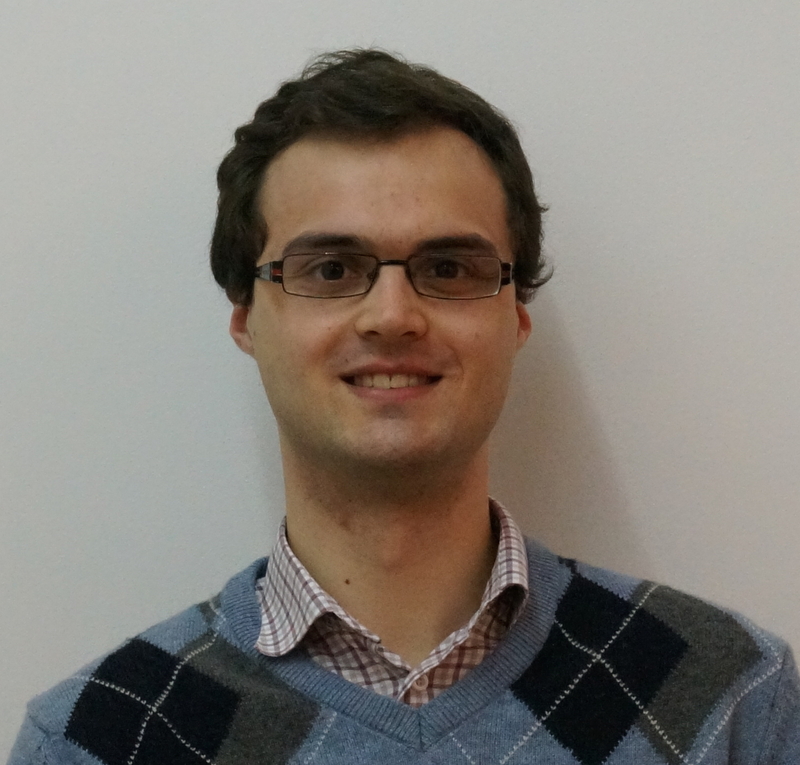 In his latest work, he has focused on how robust models of constructional language processing can be applied for broad-coverage grammars. 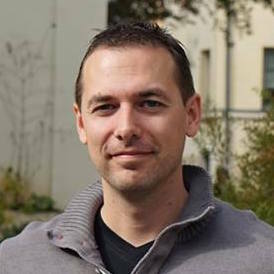 Paul Van Eecke is a member of the language research unit at Sony Computer Science Laboratory Paris. He has been participating in the development of Fluid Construction Grammar since 2014. His main research topics include (1) algorithms that make constructional language processing more robust and flexible and (2) algorithms that learn more abstract constructions from concrete observations.